Plasma vs LCD vs LED-LCD: Which is best? Buy a small-screen LCD TV to save the most money. Buy a large-screen LED-LCD TV with 3D support, local dimming, Internet connectivity, and apps to splurge the most. Larger screen LED-LCD TVs with advanced features such as 3D and Internet apps are the most expensive. Previous years' high-cost models become less expensive as newer models with bigger displays and advanced features are introduced. Smaller screen LCD TVs without 3D, Internet connections, and apps are the least expensive. Buy an LCD TV or LED-LCD TV to get the type of TV that most others are currently buying. 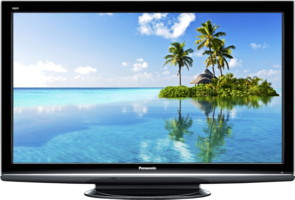 LCD and LED-LCD TVs have much larger market share than Plasma TVs; only about one Plasma TV is sold for every ten LCD and LED-LCD TVs. Note that the TV market share percentages below add up to 90%; the remaining 10% is attributed to older CRT-based TVs. Buy a Plasma TV for the best contrast ratio. Contrast Ratio indicates how many times the display's white levels are brighter than its black levels. A feature known as local dimming allows the contrast ratio for LED-LCDs to approach that of Plasma TVs. Note, however, that LED-LCD TVs can exhibit "blooming" where lighter areas can bleed into darker areas on the screen and slightly reduce overall black levels. 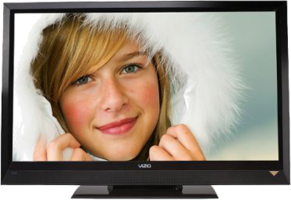 Buy an LED-LCD TV or LCD TV for the highest picture brightness. The Picture Brightness of LED-LCD and LCD technologies is inherently higher than Plasma's. Combined with anti-glare features, the higher brightness of LED-LCD and LCD TVs provides better viewing in a well-lit room. Plasma TVs show more detail in the darker areas of an image but have problems in bright rooms. Buy a Plasma TV for the best off-center viewing. Viewing Angle is the maximum off-center angle at which a display can be viewed with acceptable clarity. Flat panel TVs are very good when viewed directly in front of the screen. When viewed off-center, the picture tends to be less bright. LED-LCD and LCD TVs use backlighting which acts like a shutter. This shutter effect causes a reduction in brightness at off-center viewing angles. Buy a Plasma TV for the highest refresh rates. Refresh Rate is the number of times a display's image is repainted per second. A high refresh rate improves picture clarity of fast-moving objects and is therefore particularly beneficial for sporting events and gaming. Plasma TVs have an inherently high refresh rate, equivalent to 600Hz when compared to LED-LCD and LCD TVs. LED-LCD and LCD TV manufacturers have introduced models with 120 and 240 Hz rates, narrowing a previously more substantial gap between their technologies' refresh rates and that of Plasma. Buy an LED-LCD TV for the longest expected lifetime and the most consistent long-term performance. Life Span claims by manufacturers have ranged from 60,000 to 100,00 hours (although these numbers are not independently verified). Performance degradation is subtle but exists for LCDs and Plasma: LCD's fluorescent backlighting loses some white balance; Plasma's phosphor will fade over time. LED lighting technology does not change color over time. All three TV technologies do seem to have reasonable expected life spans. Buy an LED-LCD for the lowest energy consumption. Energy Consumption is the power, measured in watts, used to operate the TV. Energy consumption is directly related to the cost of operation of a TV. Plasma TVs have much higher energy consumption than LCD-LED TVs; LCDs have slightly (about 20%) higher energy consumption than LED-LCD TVs. Higher energy consumption also results in higher power dissipation, which can slightly raise room temperature and can constrain mounting options such as distance to walls or other impediments to air flow. Buy an LED-LCD TV or LCD TV for the lightest weight TV for a given screen size. The weight of the TV is important especially if the TV will be wall-mounted. Types and prices of wall mounts vary according to the weight of the TV. LED-LCD TVs are slightly lighter than LCD TVs, but both are substantially lighter than Plasma TVs. 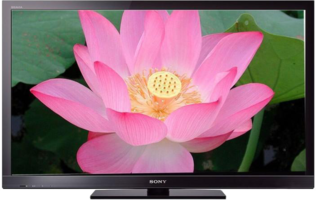 Buy an LED-LCD TV or LCD TV to avoid picture burn-in. Picture Burn-in is a permanent discoloration of areas on the screen resulting from screen features that remain in one position for a period of time. Plasma TVs have improved in this area, but burn-in still remains a concern with Plasma TVs. HowToDecide would appreciate your feedback on any aspect of the Plasma vs LCD vs LED-LCD: Which is best? Quick Decide Guide™.